Make 18 stacks of ham with 2 slices each. Spread each stack with about 1 teaspoon cheese. Place 1 cantaloupe stick at edge of each stack; roll up. Cut each into 3 pieces. Insert toothpick into each. Pineapple cream cheese is a tasty substitute for spreadable Brie and will complement the ham and melon. On the serving platter, place only the number of roll-ups needed for 30 minutes. 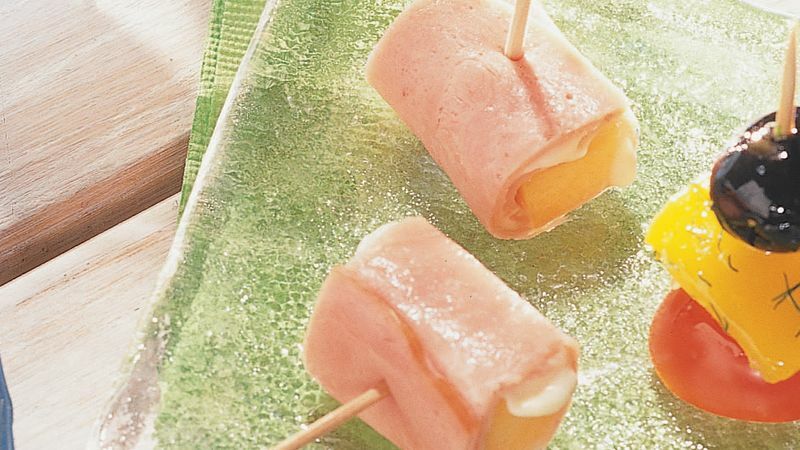 Keep extra roll-ups refrigerated or well-chilled on ice, and replenish the platter as necessary.